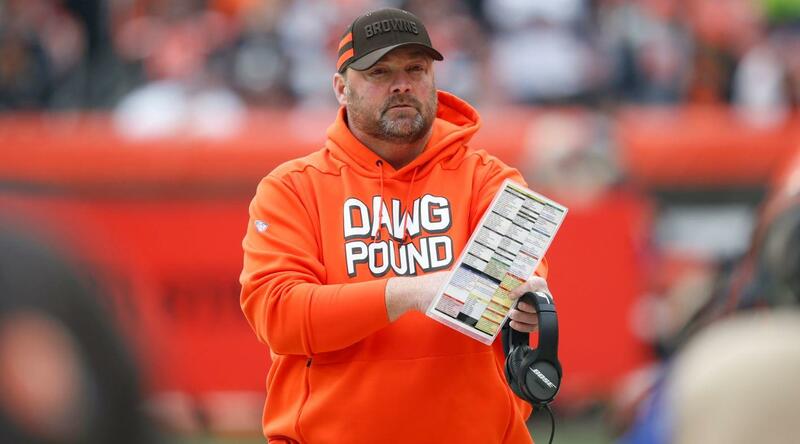 By his own admission, new Cleveland Browns head coach Freddie Kitchens wasn’t the popular choice to land the job. Five days officially on the job though and he’s quickly becoming the most popular man in Cleveland. Kitchens already left Browns fans salivating at Monday’s introductory press conference saying all the things fans of a long plagued franchise want to hear. For his latest trick, the 44-year-old called in unannounced to the Ken Carman show with Anthony Lima on 92.3 The Fan. The call came in during the final hour of those show Wednesday Morning following an appearance from Browns guard Joel Bitonio in the previous hour. Kitchens claimed to be calling in looking to chat with his starting left guard about sleeping in. He missed Bitonio, but left Carman and Lima absolutely shocked by what was happening. While the two hosts gathered themselves, Kitchens made a point to ask if either of them were wearing Brown and Orange. The surprise visit from the Browns new head coach turned into a mini-conversation where Kitchens talked about his team’s Super Bowl odds next season, his emotions going into his first head coaching interview for and his relationship with now departed interim head coach Gregg Williams.